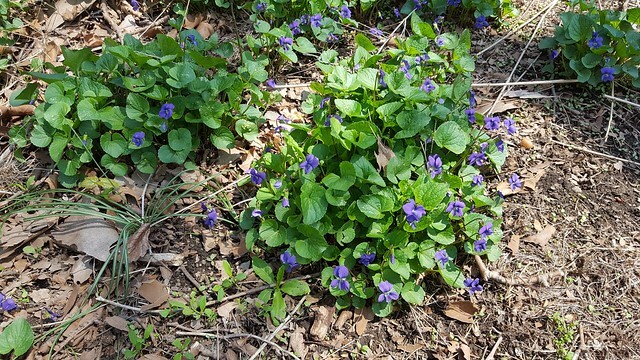 The "weedy" remnants of my front lawn, where Viola sororia, common blue violet, has taken charge. Easily overlooked, it seeds itself readily without any help from me (or any other gardener). Yet this species is native to New York City. It's one of my iNaturalist observations from my garden for this year's City Nature Challenge. Today, Sunday, April 29th, is day 3 of the global City Nature Challenge, which continues into tomorrow. Building on the explosive popularity of iNaturalist as a platform for observations, this gamified bioblitz pits cities against each other, to see which can identify more taxa of living species in a 96-hour period. NYC is currently is 6th place globally, and 4th nationally. There are still plenty of opportunities to join special events organized for New York City, with events in 4 of our 5 boroughs today, and more tomorrow. I wasn't able to take part in yesterday's festivities. This weekend, I have to get my garden ready for this season's garden tours. Armed with only my phone, I kept an eye out for anything I might see, uncover, or unearth. I was rewarded. Today I made my way to my first Gowanus Canal Conservancy Native Plant Sale. 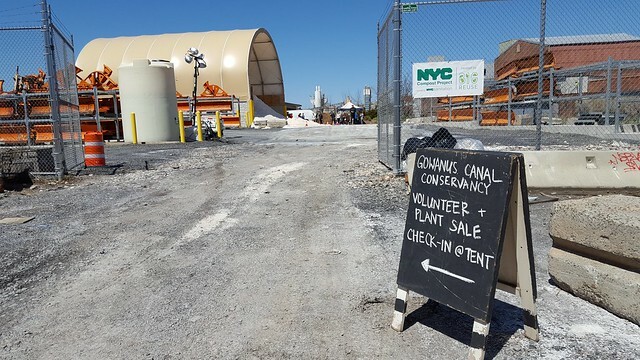 Today is Earth Day 2018, and today's sale was held at their nursery location, the Salt Lot where Second Avenue ends at the Gowanus Canal. They have two more sales this season. The next, on May 19th, conflicts with the NYC Wildflower Week tour of my garden. A wide range of species are listed are available on their nursery page. Not all of them are still in stock. In compensation, they had other unlisted species available at today's plant sale.